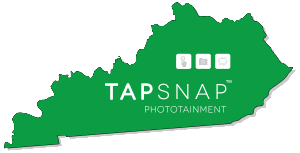 In October, TapSnap received a mention in The Lexington Herald-Leader, a Kentucky newspaper with a print circulation of over 74,000 and whose website receives just under 2 million unique monthly visitors. The piece by Dorothea Wingo features Lexington resident Billy Wedgworth, a recent TapSnap franchisee. The benefits of TapSnap are mentioned, and a link to Billy's site is provided. Week after week, TapSnap franchisees receive write-ups in their local media that increase their awareness. TapSnap's continual presence in widespread media sources is just one more reason that our national marketing efforts benefit our individual franchisees.